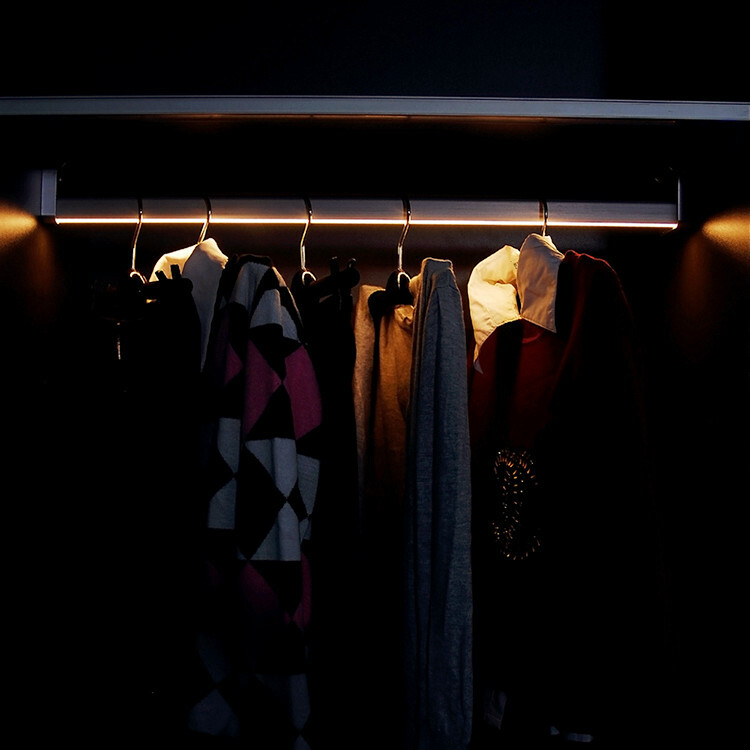 This led bar for cabinet clothes is our Artcilux designed- wardrobe led light A3100.Not only can it be a hanging rod(Roughly 50kg/Meter), but also can be a decorated wardrobe lighting solution. It has two styles for your choice: hard wired and battery operated. 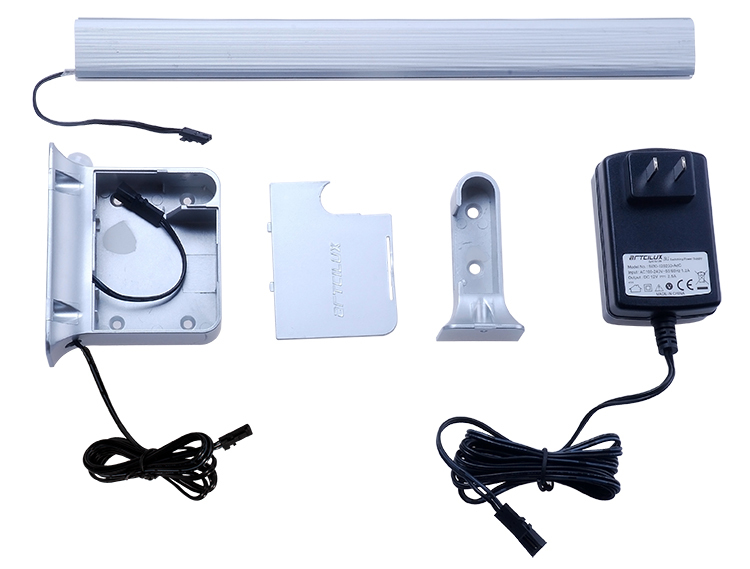 The motion sensor is a small dome shaped part in the side of the light, an IR sensor works with your body heat. 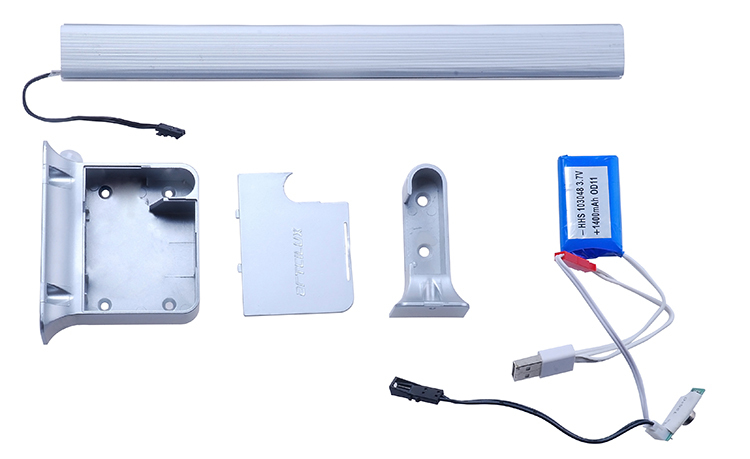 For led bar for cabinet clothes, There are also other Battery powered LED lights for choice. 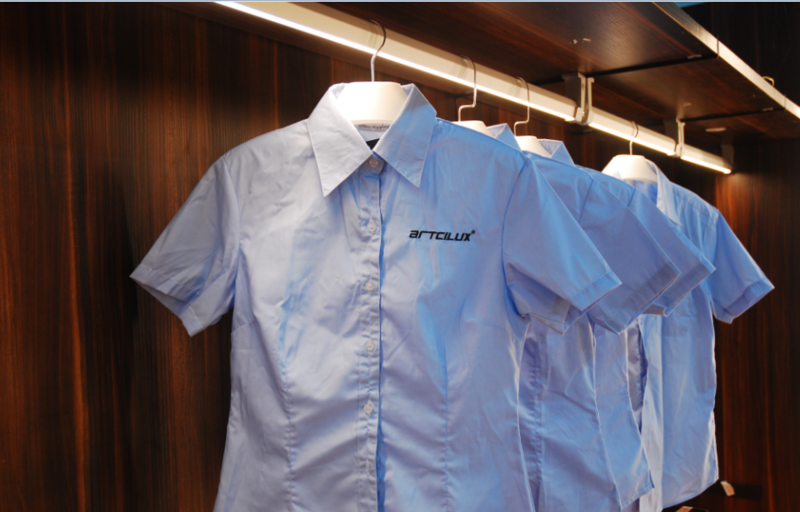 What Artcilux can do for you? 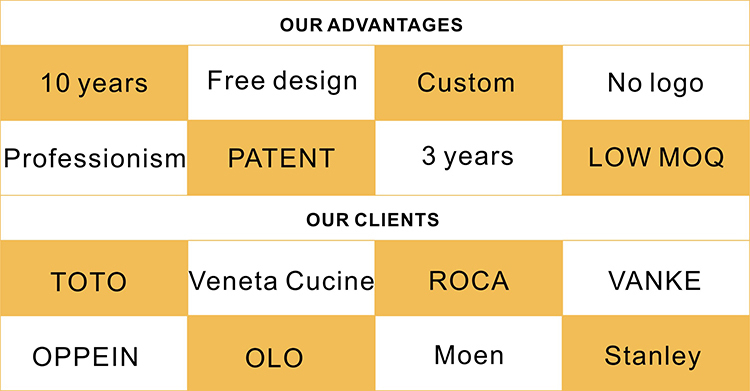 but also we have our own designer to help you customize your goods as you like. 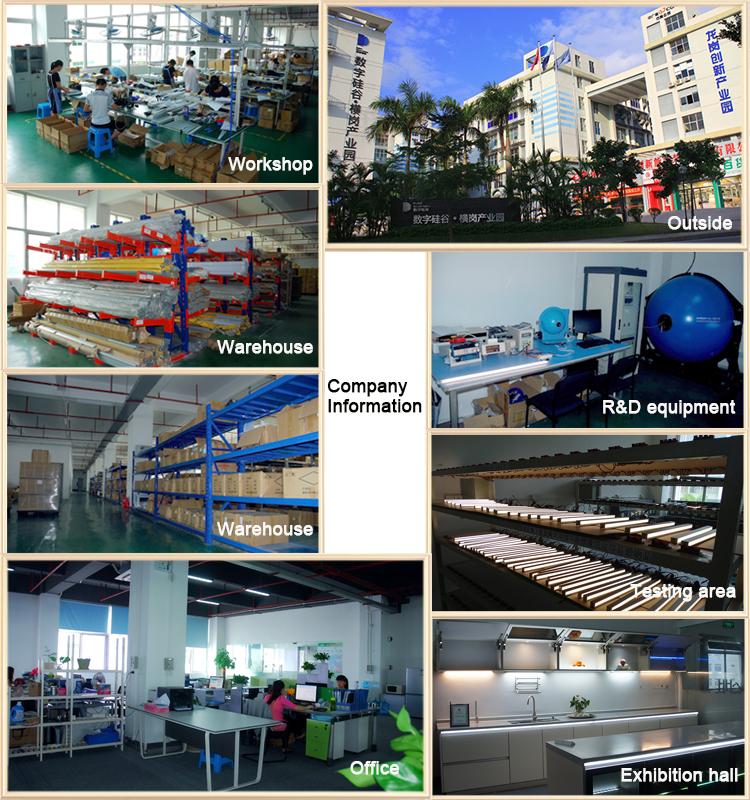 Real Company pictures we want to share with you! 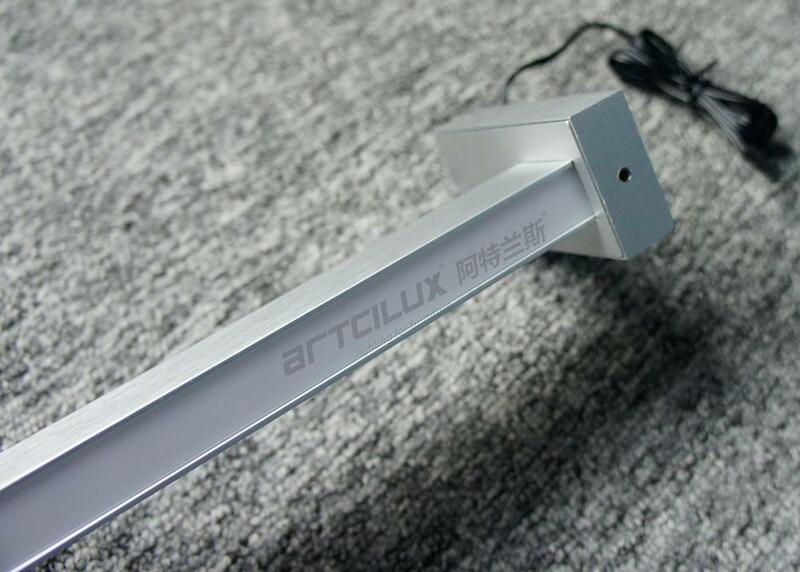 Artcilux are specializing in producing LED cabinet light for more than 10 years. 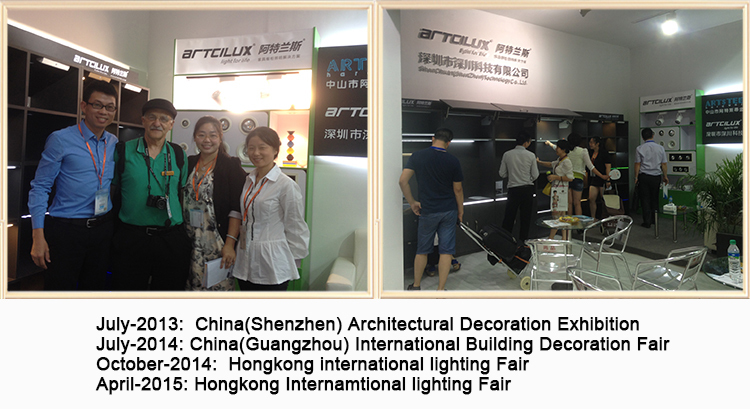 Hope that our rich experience on furniture and lighting fields can help you to creat the perfect lighting solutions! 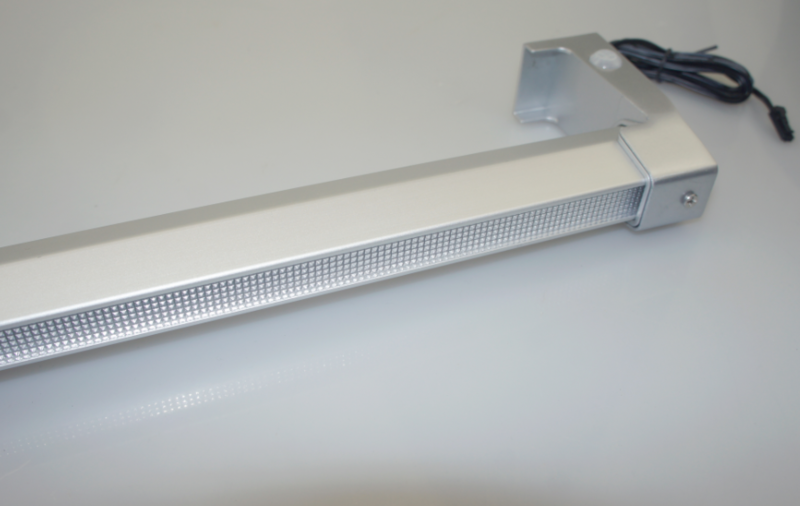 Q1: Does this light have ON/OFF switch as well as the Auto Motion Sensor switch? 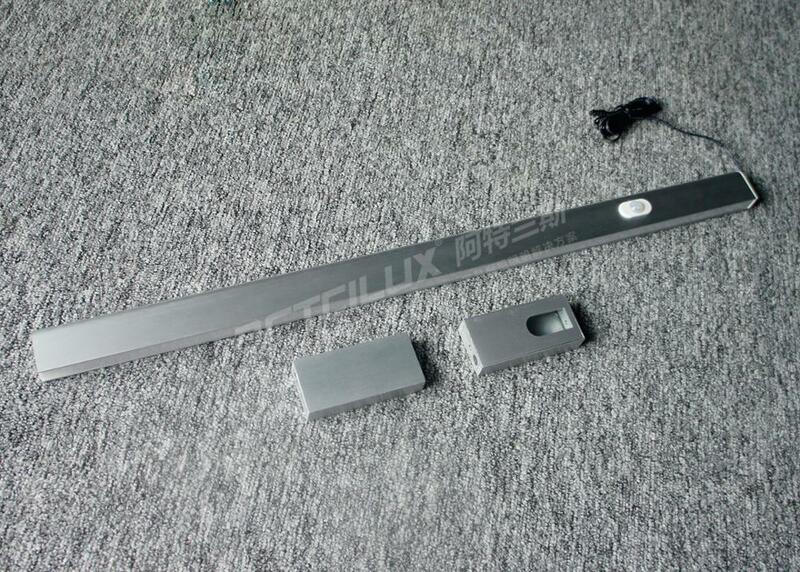 Hi,this light has motion sensor switch.But it doesn't have ON/OFF switch. If you want ON/OFF. 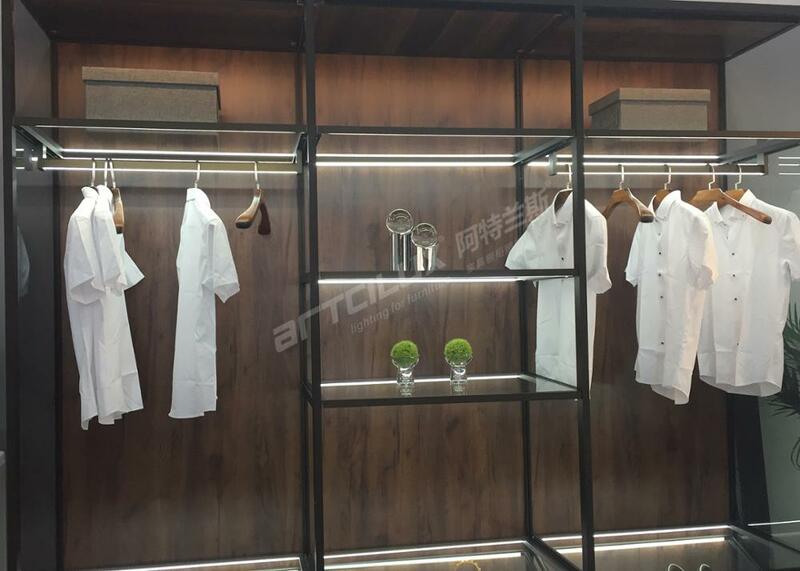 Yes our wardrobe light has this two kinds of conditions for your choose. Q2: Is there an "always on" mode, in addition to the basic motion detection mode? but I definitely have to waive my hand past it every 20 seconds or so to keep it on. Yes, we have this always on mode if you like it. Q3: What's the difference in brightness between cool and warm white? 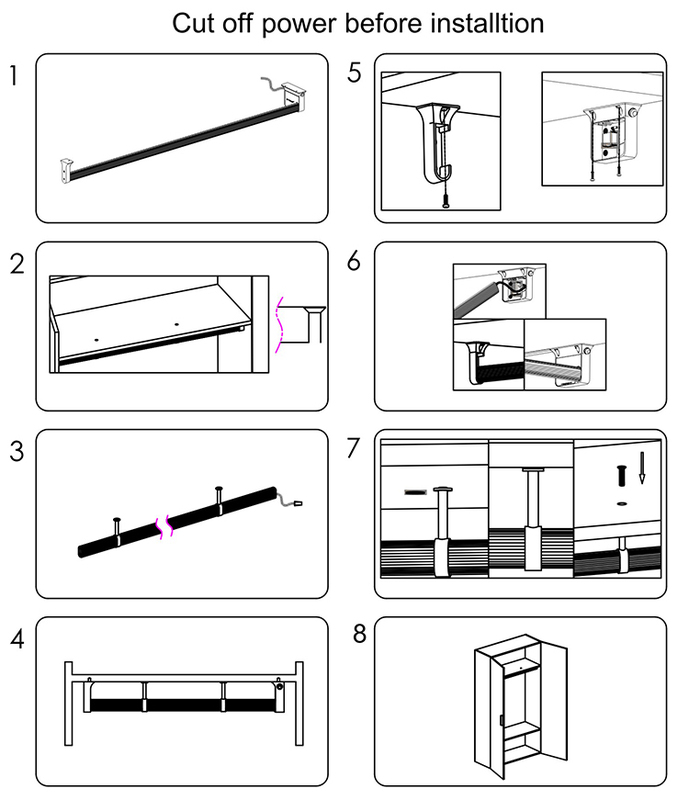 Q4:Does a 30 second delay mean after motion is detected the light will activate 30 seconds later? No, the delay time means the light will auto turn off after 15 seconds when no motion is detected. 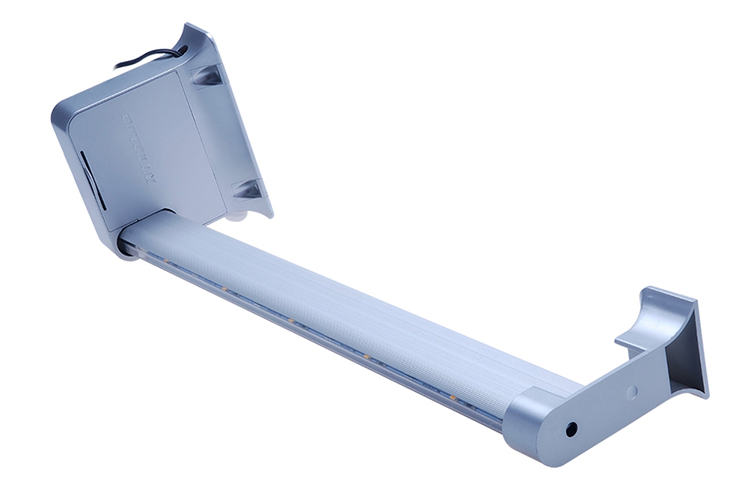 It will glow directly when the motion is detected, without delay. Q5: Can I turn off the motion sensor? Sorry, the sensor couldn't turn off unless you remove the batteries. 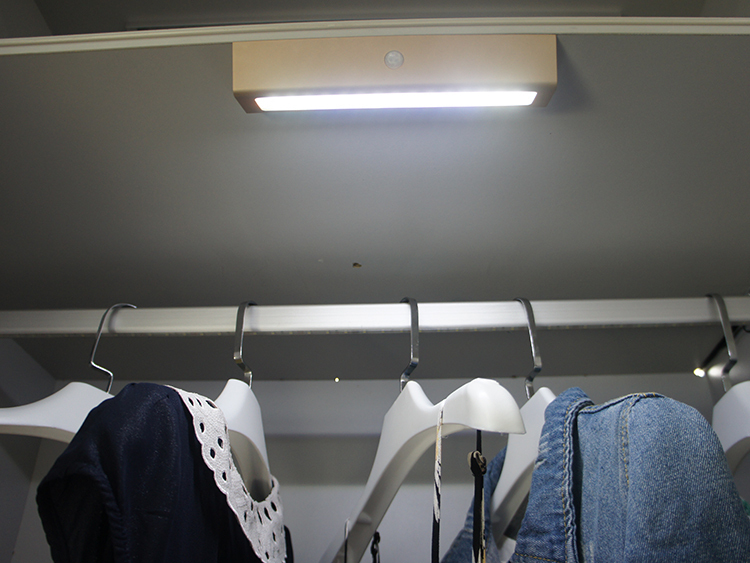 The light only works under the motion detection.